← Will you, old turnip, be my Valentine? In 1865 William Arnott established his first biscuit factory in Newcastle (having been a baker in Maitland prior to then). 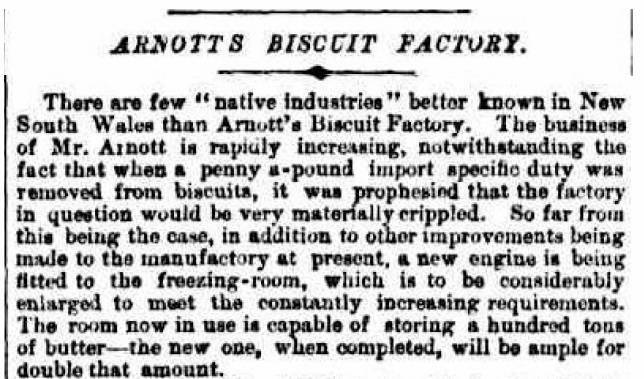 In August 1887, the Sydney Morning Herald published this comprehensive description of the Arnott’s Biscuit Factory. The full article describes the machinery, the ingredients and the employees required to produce a weekly quota of biscuits. It also references the removal of a biscuit import duty which, despite early fears, did nothing to interfere with the popularity of the brand. 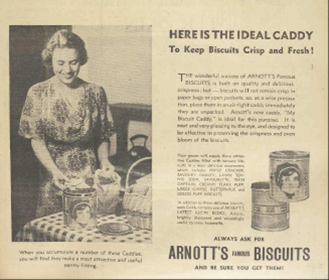 In 1934, secondary products (biscuit caddies) were being widely advertised – Australian Women’s Weekly 8 September 1934. 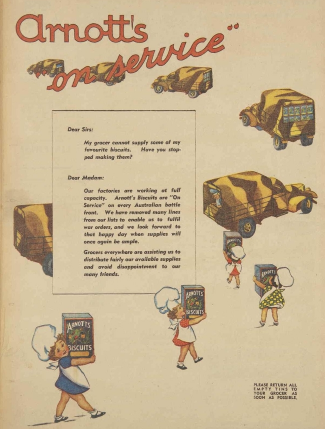 During World War II, Arnott’s kept its customers informed about the reasons it was not producing as many ‘favourites’. Their factories were working at full capacity to fulfil war orders (presumably sending Shredded Wheat biscuits and other basic staples to soldiers on the front line). Australian Women’s Weekly – 16 January 1943. 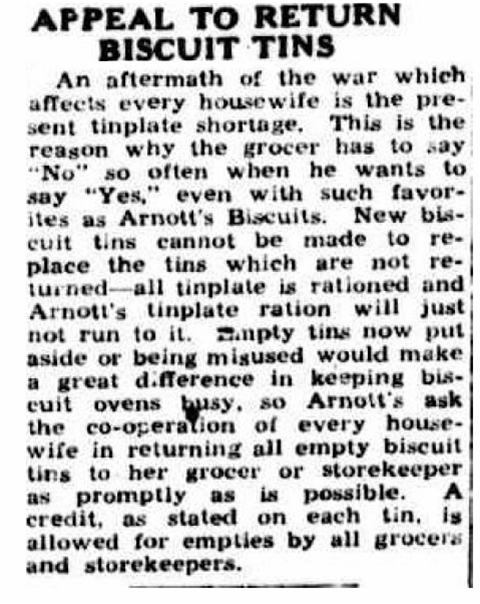 The Broken Hill Barrier – 19 June 1947 reported on the recall of tin biscuit tins during the post-war days of tin rationing. 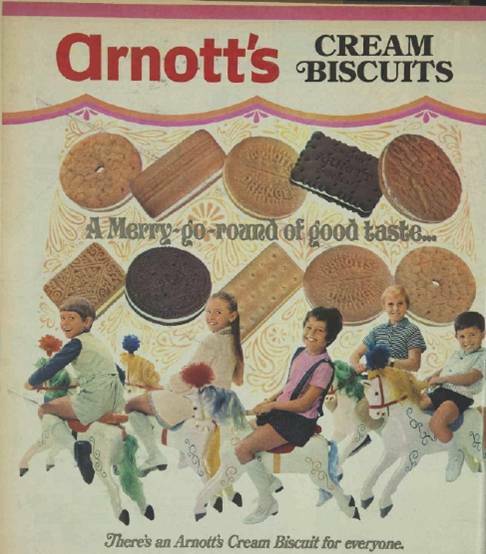 And for those of us who were fond of Arnott’s assorted creams – here’s an advertisement for them, again courtesy of the Australian Women’s Weekly (May 1970).